Since the late 1940’s, illustrator Tove Jannson has delighted many young minds with her quirky and eccentric Moomins – a family of hippo-like characters who reside in the green slopes of Moominvalley. Now, thanks to Arabia, you can bring the wacky world of Moomins to your breakfast table with the new Moomin Mug collection. 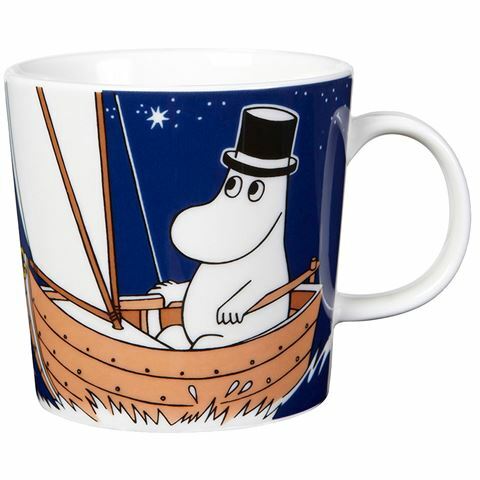 Perfect for starting your day off with a smile, each of these porcelain mugs is embellished with one of Jannson’s iconic characters including Moomintroll, Snufkin and many more. Based upon the Moomins series created by Finnish illustrator Tove Jannson. Adorned with a quirky illustration of Moominpappa, the boyish and adventurous father of protagonist Moomintroll. Small handle makes this mug perfect for children. Dishwasher, microwave and oven to table safe.